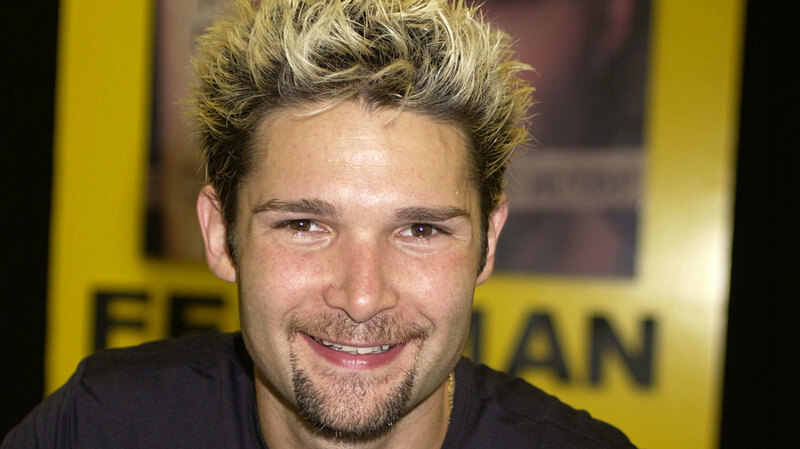 Corey Feldman’s career stretches back over 40 years, but the details of what the actor and musician has survived during that time will break your heart. By the age of 10, he had shot more than 100 commercials. Feldman begins a long string of sitcom appearances on shows like Eight Is Enough, Alice, Madame, The Bad News Bears, Mork & Mindy and The Love Boat, among others. In his memoir Coreygraphy, he says his parents used his earnings to buy a new house and expensive cars and are at best neglectful — at worst, abusive. The Bad News Bears is canceled and Feldman must return to public school. He will not be allowed a work permit unless he maintains high grades, and his parents escalate their alleged abuse as a way to keep him motivated. In his memoir, he accuses his mother of force-feeding him diet pills and beating him with a curtain rod. He claims his father would beat him until the belt broke, then get another belt. Feldman’s parents split by the time his younger brother Devin is born in 1981, and he says his mother’s abuse escalates while her mental health deteriorates. At one point, she even threatens him with a homemade nose job with a pair of scissors and a syringe. After an anticipated part in E.T. : The Extra-Terrestrial is cut, director Steven Spielberg promises him a role in his next film, and he comes through with a part in the ‘80s classic Gremlins. The movie is released in 1984, along with his next film, Friday the 13th: The Final Chapter. Feldman begins filming the childhood epic adventure The Goonies. Just weeks before casting is announced, he says he tried to kill himself for the first time. He was 12. Michael Jackson visits the set of The Goonies, and he and Feldman begin a 15-year-long friendship. Feldman later denies Jackson ever sexually abused him. Filming begins on Stand By Me, where Feldman works with River Phoenix, Jerry O’Connell, Wil Wheaton and Kiefer Sutherland. Feldman calls the role of the abused and bitter Teddy the closest to his own life. He smokes pot for the first time while on location with River Phoenix, marking his first foray into drugs. He soon discovers his mother’s stash of cocaine and tries that too. He contemplates suicide for a second time after being bullied at school, holding his grandfather’s gun to his head. Feldman begins filming arguably his most famous movie with Corey Haim, The Lost Boys. While on set, Haim tells Feldman he was raped by a male industry insider. Feldman introduces him to child star manager Martin Weiss, who sexually abuses Haim. Feldman quickly finds himself surrounded by so-called friends who help him get hooked on drugs. One, an employee of his father/manager whom he gives the pseudonym “Ron Crimson” in his memoir, began sexually abusing him while he was under the influence. Another older friend, “Ralph Kaufman,” attempted the same. Feldman fires his father as his manager and files for legal emancipation from both parents after finding out they have spent the million dollars he earned during his entire career, leaving him with just $40,000. His father demands that amount as a payoff. Feldman and Haim’s second movie together, License to Drive, earns them both the Young Artist Award for Best Young Actor in a Motion Picture Comedy or Fantasy. Their third buddy flick, Dream A Little Dream, is released the following year. Feldman marries fellow actor Vanessa Marcil in Las Vegas after dating just a few months. 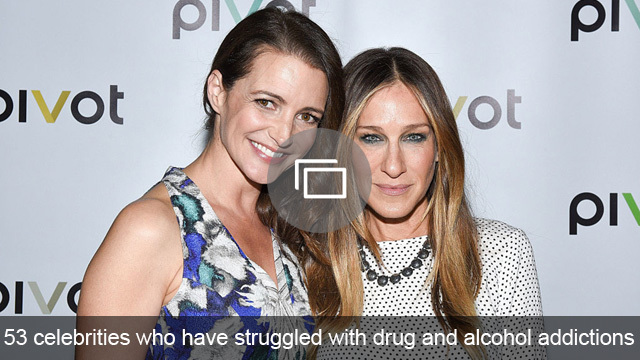 They never actually lived together and divorced in 1993. Feldman is arrested twice for heroin possession. During his first arrest, he was found with 25 balloons of heroin and cocaine in his car. The second, in September, resulted from cops finding two balloons containing one-third of a gram of heroin. While in rehab, he claims that Dave Navarro and Perry Farrell help him shoot up heroin his cousin smuggled in. After a third arrest (for driving with a suspended license), he goes to a live-in rehab with little contact with the outside world for nine months. Feldman finds himself abusing pain meds after two minor surgeries, then quickly spirals back into a full-fledged relapse. In his memoir, he claims that after losing his home and his car, he had a come-to-Jesus moment alone one night and that, combined with curing his kidney stones, got him to clean his act up for good. Feldman forms the band Truth Movement and releases an album of “dark, intensely personal” songs including a “suicide note set to music,” as he describes in his book. Feldman meets Susie Sprague at an LA club on her 19th birthday. His friendship with Michael Jackson falls apart in the wake of 9/11. As he describes in Coreyography, Jackson seems unjustifiably paranoid that Feldman is going to write a book about him, despite Feldman repeatedly defending him in the press against the molestation charges. They never speak again. Feldman and Sprague get engaged on Valentine’s Day. He begins filming The Surreal Life, his first entry into reality TV, which he describes as the “single worst professional experience” of his life. He and Sprague are married on the show in a wedding officiated by MC Hammer. The couple’s son Zen is born eight weeks early; Feldman has to leave to film a movie in Bulgaria three days later. Feldman and Haim reunite for one of their final projects: a semi-scripted reality show about their friendship. Haim cleans himself up for the show but quickly begins spiraling back again. Feldman secures him a small role in Lost Boys 2, but Haim is fired. While filming the first episode of The Two Coreys Season 2, Haim lets loose on Feldman, accusing him of allowing repeated sexual abuse by their so-called friends. Haim is fired from Lost Boys 2 for a second time, and The Two Coreys is canceled after Season 2 wraps. Feldman and Sprague divorce. He grieves the death of Michael Jackson, having never reconciled after their strange 2001 falling out. Feldman’s world is shaken yet again when Corey Haim dies of pneumonia at his mother’s apartment in Burbank. In the wake of his death, Feldman becomes more vocal about Hollywood’s rampant pedophilia. Feldman publishes his memoir, Coreyography, detailing a childhood of physical, emotional, financial and sexual abuse at the hands of his parents and industry insiders. Feldman and his band Corey’s Angels make an appearance on Today, causing him to be mercilessly bullied on social media. His fans immediately step in to defend him, and Today has him back a month later to address the haters. “We are at a time right now where the world needs to focus really on peace and love and tolerance,” he says. While preparing this piece, I asked Feldman himself on Twitter what the most pivotal point of his life was. His answer was very enlightening and uplifting — but maybe not surprising coming from someone who has survived as much as he has. Since his film debut, Feldman has made over 60 movies and has had a release nearly every year since 1979, with few exceptions. Despite all the ups and downs, he has never stopped working. Hopefully, the future holds a lot more light for him than the past has. Before you go, check out our slideshow below. Did Gwendoline Christie Just Confirm the Latest GOT Episode Was Brienne’s Swan Song? Are Sansa Stark & Theon Greyjoy Game Of Thrones’ Newest Couple? Does Podrick’s Song Reveal This Major Game Of Thrones Twist?